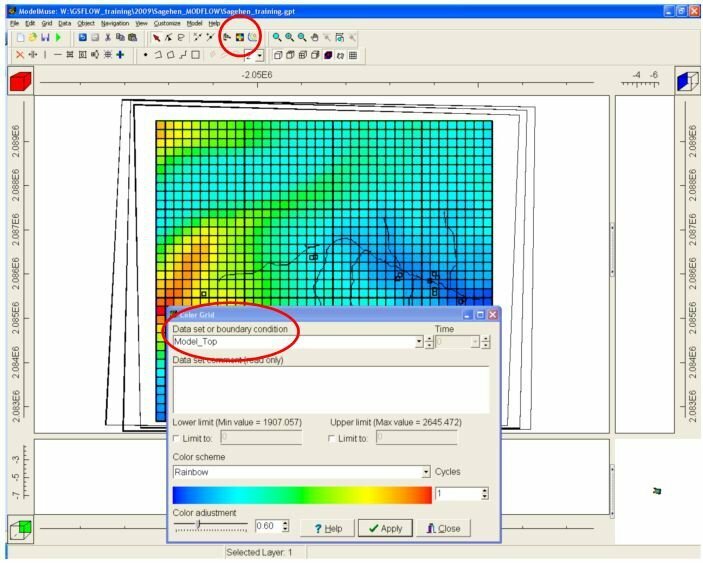 ModelMuse is a graphical user interface (GUI) for the U.S. Geological Survey (USGS) models MODFLOW–2005 and PHAST. This software package provides a GUI for creating the flow and transport input file for PHAST and the input files for MODFLOW–2005. In ModelMuse, the spatial data for the model is independent of the grid, and the temporal data is independent of the stress periods. Being able to input these data independently allows the user to redefine the spatial and temporal discretization at will. This report describes the basic concepts required to work with ModelMuse. These basic concepts include the model grid, data sets, formulas, objects, the method used to assign values to data sets, and model features. The ModelMuse main window has a top, front, and side view of the model that can be used for editing the model, and a 3–D view of the model that can be used to display properties of the model. ModelMuse has tools to generate and edit the model grid. It also has a variety of interpolation methods and geographic functions that can be used to help define the spatial variability of the model. ModelMuse can be used to execute both MODFLOW–2005 and PHAST and can also display the results of MODFLOW–2005 models. 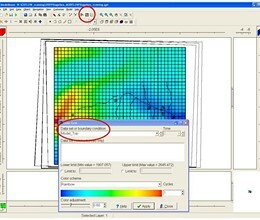 An example of using ModelMuse with MODFLOW–2005 is included in this report. Several additional examples are described in the help system for ModelMuse, which can be accessed from the Help menu. * ModelMuse download link provides freeware version of the software for Windows 32bit and Windows 64bit. A model for 2D or 3D saturated-unsaturated, variable-density ground-water flow with solute or energy transport. Argus ONE is a family of general purpose graphical Pre- and Post-Processors for the numerical modeler. No one has rated ModelMuse yet. Be the first to rate this product.